Check out this year’s version of the Magic Quadrant here! Analyst house Gartner, Inc. has released the latest iteration of its annual Network Performance Monitoring and Diagnostics (NPMD) Magic Quadrant (MQ) report. In the 2017 MQ for NPMD, available here, Gartner evaluates the strengths and weaknesses of 17 vendors that it considers most significant in the NPMD market while providing readers with a graph (the Magic Quadrant), which plots out the vendors; the Y-axis represents the vendor’s ability to execute, and the X-axis represents the completeness of the vendor’s vision. The graph is divided into four quadrants: leaders, visionaries, niche players, and challengers. But to clarify, Gartner does not endorse any vendor, product, or service depicted in its research publications. This is the fourth iteration of the NPMD MQ released since 2014; since the first iteration, the NPMD market has innovated itself in order to enhance the analytics and performance of the software. These vendors are essential in helping I&O leaders support more complex technologies, capable of providing support for software-defined environments. NPMD solutions are also experimenting with cloud-monitoring systems and network analytics to support the gaps in cloud migration for future networks. At Solutions Review, we read the report, available to Gartner subscribers here, and pulled a few of what we considered the most important takeaways and key changes since the 2016 IGA MQ. Unlike Cyber Security, NPMD doesn’t focus on protecting your networks, instead focusing on giving valuable oversight to software managers so they can analyze network traffic, utilize opportunities to increase network performance, and quickly detect and remedy any hinderances to network traffic or infrastructure. In short, NPMD is all about how to make your network better for your business. Above you can see the two Magic Quadrants for NPMD from the past two years, with the 2016 MQ on the right, and the 2017 MQ on the left. 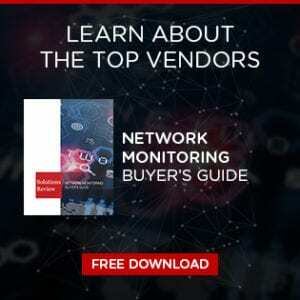 Overall, the chart shows the vendors have started to gain a clearer vision as to what they hope to bring to the NPMD market, with Flowmon Networks, AppNeta, Cisco, Genie Networks, InfoVista, and NetScout having better scores than last year. But surprisingly, the vendors’ ability to execute is lacking in comparison to last year, with Paessler, CA Technologies, SevOne, Riverbed, and HPE all taking considerable dips in execution. Two vendors, Automic and Niksun, were dropped from the Quadrant, the former for failing to meet the minimum revenue requirement for inclusion, and the latter for focusing on security workflows, making them such a niche market that they’re off the list entirely. Four vendors were added to the list this year with ExtraHop categorized as a Visionary, Ipswitch and AppNeta put with the Niche Players, and LiveAction was unexpectedly scored in its first year in the MQ as a Chanllenger for NetScout, Viavi, and Riverbed. According to Gartner, NPMD has a set future over big data analysis entities in IT departments, for they’ve been remarked as an “exponential, continual growth of data generated by highly adaptive systems composed of large numbers of moving parts” with complex interactions. These technologies are essential for the more advanced NPMD tools, such as “complex operations event processing” and “machine learning/statistical pattern discovery and recognition.” In other words, the evolution of NPMD lies in how these systems utilize their complex tools in order to analyze and manage network data to optimize performance. The NPMD vendors in the MQ have developed “device polling, flow-based technology, and packet-based technology.” In the past, vendors only used one or two of the techniques, which made them insufficient to businesses; vendors have now progressed to the point where you need to use all three techniques for their applications to be recognized as an NPMD. 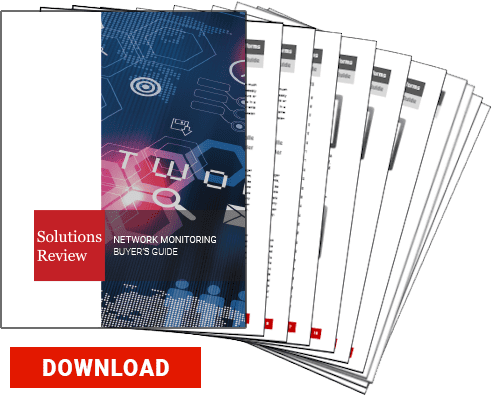 To learn more about the network monitoring solutions in the MQ, click our Buyer’s Guide to Network Monitoring below.